This is him. He moved in with us yesterday with his brothers Theo and Finnius who are both black too. But Emerson, as we call him, is the biggest and scaredest and tries to be the most ferocious. More pictures to come. They were found as strays in Newton. The woman who we got them from portrayed them as wild monsters and we were afraid they were going to be bad biters, but they aren’t at all. Emerson scratches, but Finnius mostly shivers and looks scared and his two bigger brothers cuddle him and protect him. We got a little light that gives off heat and put it over a little kitten bed – that’s where they slept last night. Finnius may already have a potential home, but Theo and Emerson will go as a pair if you are thinking of adopting two beautiful black kittens. They will probably be ready in a few weeks. Finnius needs to to go the doctor – he has no eye whiskers and it looks like his face whiskers have fallen out and are growing back in. And one eye is not looking good. We hope he will be just fine, but not clear at this point…. 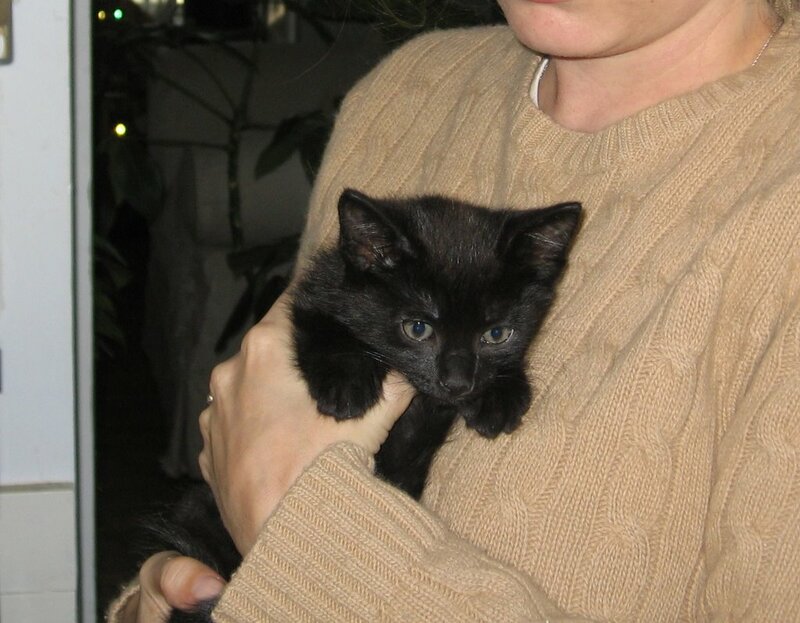 This entry was posted on Tuesday, September 12th, 2006 at 2:44 pm and is filed under cats, pictures. You can follow any responses to this entry through the RSS 2.0 feed. You can leave a response, or trackback from your own site. A good read. I’m looking for info on the civil war and anything related to it.